Senior Supreme Court lawyer K.K. Venugopal’s has been removed as special counsel for Enforcement Directorate in 2G cases. His actions in the Court have been considered contrary to the Government’s stand, leading to a “conflict of interest”. Mr. Venugopal has been fulfilling the rule of special counsel for nearly five years now. In an order issued late last month, the Finance Ministry urged the Central Probe Agency to "immediately" replace Venugopal for "submitting a note" in 2014, without consulting the ED or the Department of Revenue, on behalf of Rajeshwar Singh who is the main investigating officer in the 2G money laundering probe case. Reacting to the news, Chief Justice H.L. Dattu said he was "deeply hurt" by the revenue department's letter. 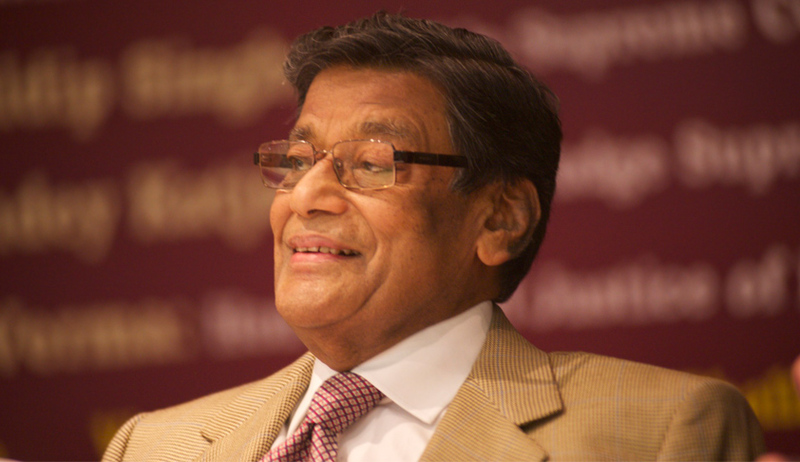 As soon as Venugopal began arguing a case unrelated to the issue, the CJI said, "A report in a newspaper (TOI) this morning said the ED has been asked to replace you as special counsel. It did hurt me a lot. Was it because of our orders (asking ED to absorb deputy director Rajeshwar Singh)? We passed the order after you submitted a factual note to us. We passed the order on the basis of the Central Administrative Tribunal order and an interim order of the Delhi high court directing the ED to absorb Singh in the ED (and not repatriate him to his parent cadre UP Police)." Venugopal said if the report was true, then he is “not interested in continuing as special counsel for the ED even for a minute". This prompted the CJI to again reiterate that he felt very bad after reading the report. Venugopal said it was Subramanian Swamy who had moved an application in the 2G scam complaining that the ED was violating the SC's order that prohibited the CBI and the ED from making any changes in the composition of the investigating teams by seeking repatriation of Singh to his parent cadre. The trigger for the move was a nine month old case relating to ED official Rajeshwar Singh. Through an order of the Supreme Court last year, Uttar Pradesh State Police Services officer Rajeshwar Singh was permanently adsorbed as a Deputy Director in the ED. The Finance Ministry had desired to repatriate him to his cadre as his central deputation to the probe agency had come to an end. However, Singh then approached the Central Administrative Tribunal which order his absorption in the ED as a deputy director; given the work he work he was doing relating to court-monitored probes into various cases, including the 2G scam. Mr. Venugopal had then briefed the Supreme Court about various aspects of Singh's case and the Central Administrative Tribunal (CAT) ordering for Singh's permanent absorption in the ED and subsequently the Delhi High Court refusing to stay this order. Singh had even taken a long ‘study leave’ last year, owing to lack of clarity over his continuance in the agency. He had conveyed his concerns to his superiors, urging them to recuse him from these cases as he felt that there were forces acting to derail the investigation. Singh has issued penalty notices totaling over Rs 17,000 crore against various accused involved in the 2G case till now. His office recently issued an over Rs 700 crore attachment order against the Maran brothers (Dayanidhi and Kalanithi Maran) as part of ED's money laundering probe in the Aircel-Maxis deal of the 2G scam case. Relying on these developments, the apex Court came down heavily on the Government and issued directions for Singh’s absorption in the ED permanently. The Supreme Court in May last year, had also ordered that Singh should not be taken off from the ongoing investigation in the 2G cases and ordered that he will continue with the probe till the trial culminates. The order issued by the Finance Ministry says that Venugopal's action was carried out "without any instruction from either the ED or Department of Revenue" and it was "against the decision taken by the government". "In view of the conflict of interest of Shri Venugopal, you (Director ED) are requested to replace him as Special Counsel of Directorate of Enforcement. This may please be treated as immediate," the order, dated June 22, said.